Mustang Waters is a place where you can roam free without city limits and partake in a full range of activities — including horseback riding, water sports, fishing, and basketball. Workouts and yoga are available in the fully equipped fitness center, and gaming in the entertainment room. For those who prefer the ranch’s solitary remoteness, there are many walking trails and dirt roads where safari jeeps will give you a back country-like glimpse at exotic animals who, like you, are happy be at a place where silence and beauty dominate. Whether you are a novice or experienced rider, experience the magnificent Texas Hill Country on horseback. Our top-notch guides will take you through beautiful groomed trails. End up with a pancake breakfast, glass of wine at lunch, or a sunset champagne. Safari-like drives around the ranch allow guests to see our Axis and Sitka deer, Blackbuck, African antelopes, rams and horses. 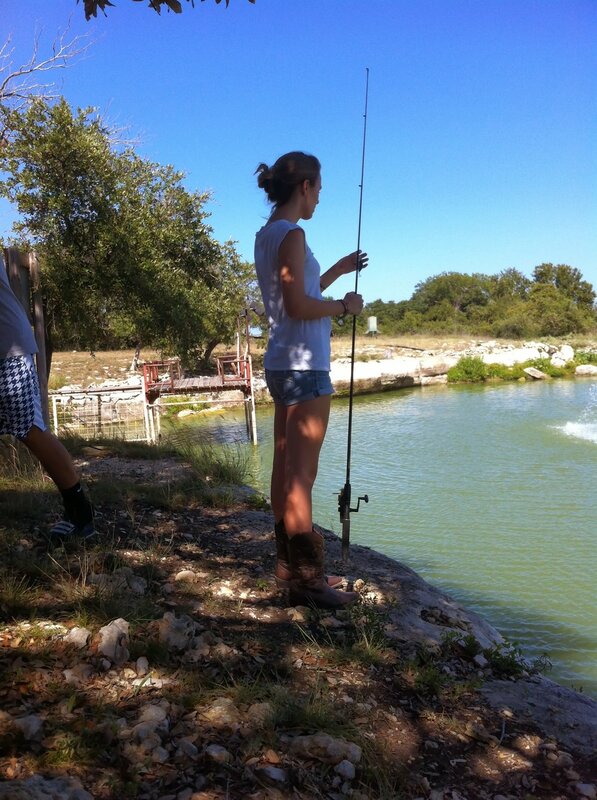 Three ponds are stocked with catfish, bass and crappie. From a lighted fishing pier, guests also have access to paddle boards, kayaks and a canoe. A flagstone patio with an outdoor swimming pool and hot tub, his and her pool showers, and outdoor restrooms. The perfect way to cap off your day is watching the setting sun from Mustang Waters Ranch's highest point. That moment will stay with you long after you return to earth. Then again, Texas Hill Country sunsets are beautiful anywhere on the ranch. 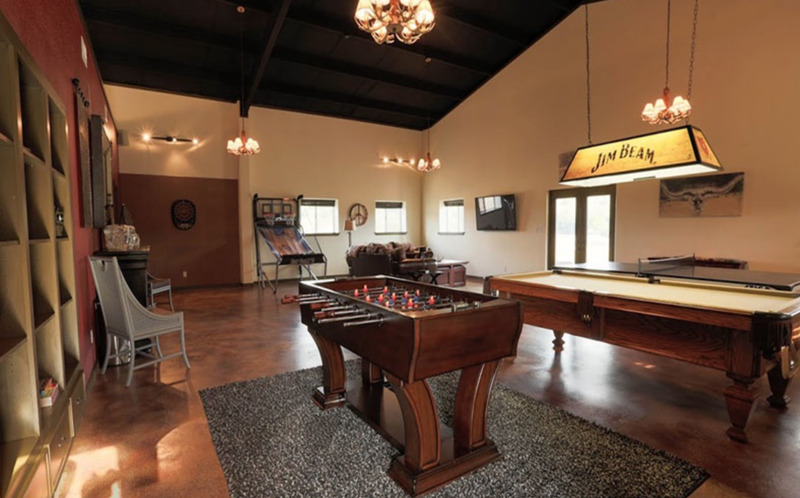 A gaming/entertainment room with a foosball table, dart board, hoops game, ping-pong table, billiards table and sitting area with a large flat screen TV. A cook station with a BBQ grill and outside fireplace.